We lost a good man today and a local legend. 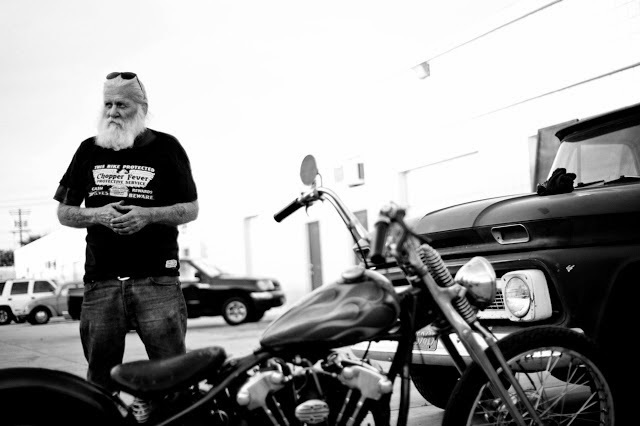 Droopy from SVF has been seen on his knucklehead all over southern California and beyond since he put it together in about ’63 if I remember right. Droopy never stopped working with old Harley’s. He was always at the swapmeets and still rode his knuckle to the very end. He always had great stories and good advice! He always seemed to have time for us younger guys, never copped an attitude, never complained. 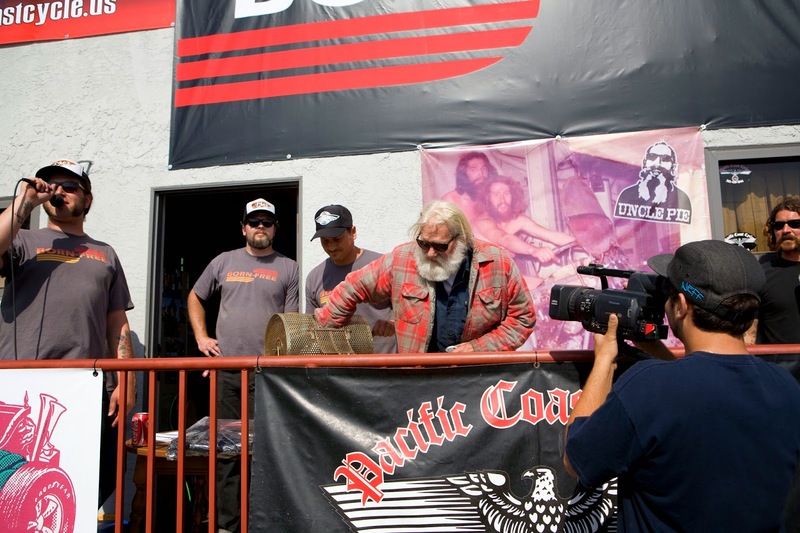 At Born-Free 2 we asked Droopy to pull the winning ticket for the first bike we ever gave away and now it looks like his lucky number got pulled after battling cancer. Rest in Peace Droopy. 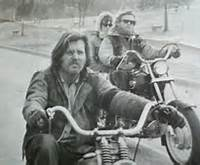 Read more about his life in THIS article his friend Jeff Leighton wrote in Street Chopper a few years back, CLICK HERE. This entry was posted in droopy, droopy's knucklehead, legend, satan's slaves, Uncategorized. Bookmark the permalink. Wow….Sorry to hear this. I didn't know this man, but it is always hard when a fellow biker loses his life. RIP….